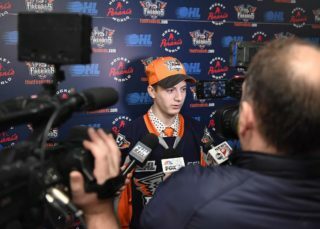 Flint, Mich. – The Flint Firebirds Hockey Club will participate in the 27th annual CHL Import Draft this Thursday, Jun. 28 at 11 a.m. ET. 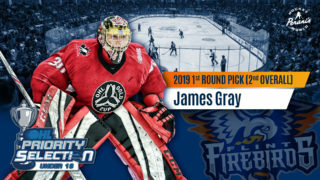 Flint is expected to select one player with the sixth overall pick. The Firebirds have released German forward Max Kislinger while Russian defenseman Nikita Alexandrov will return to Flint for the 2018-19 season. Additionally, 2017 Winnipeg Jets first round pick Kristian Vesalainen remains on the Firebirds’ protected list. 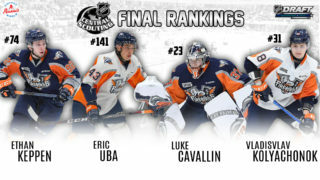 The Ontario Hockey League (OHL), known as the premiere player development league for the NHL, is one of three major junior ice hockey leagues based in Canada and the United States that constitute the Canadian Hockey League (CHL). Flint Firebirds’ 2017 CHL Import Draft Pick Nikita Alexandrov. For the first time since 2013, goaltenders will be eligible for selection in the CHL Import Draft in addition to forwards and defensemen. Last season a total of 72 players were selected from 11 different countries led by 19 players from Russia and consisting of 50 forwards and 22 defensemen. Stay tuned to FlintFirebirds.com for live coverage of the 2018 CHL Import Draft Thursday.